by Jim Corbran, Automotive Columnist As the press release said: “Germany may be our home. But our heart is an Atlanta.” Yes, the iconic (Teutonic?) sports car manufacturer runs a 27-acre site in Atlanta where owners and fans of Porsche cars can immerse themselves in the brand. 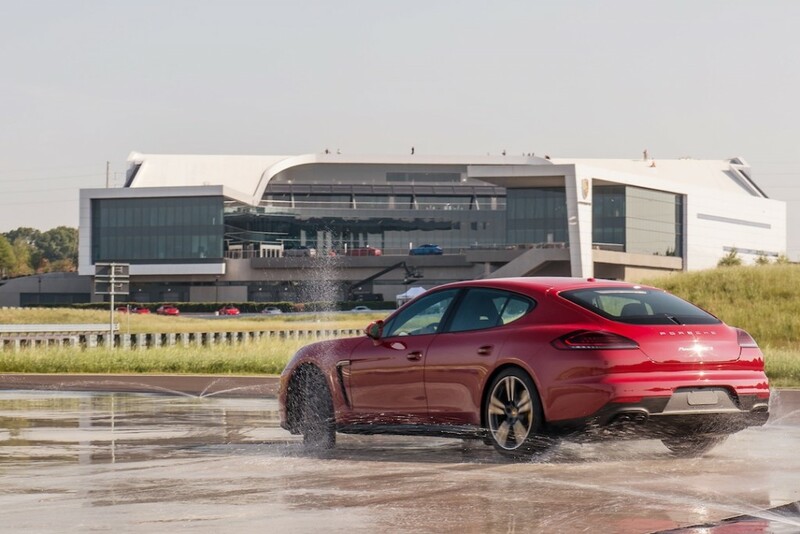 One-on-one driving instructions on Porsche’s test track and off-road courses are available to hone your driving skills, try out the all-wheel drive system on a 911, or learn safety techniques. Also on the grounds are: a Human Performance Center where you can learn the latest techniques used in preparing Porsche race car drivers for the endurance of a long race; the Business Center in which your company can reserve one of the many conference rooms, and have your meetings centered in the Porsche environment; the Driving Simulator Center which will introduce you to racing; the Personal Design Studio where you can, with the help of a Personal Design Specialist, design your own Porsche; and the newest addition — Restaurant 356, where you can enjoy fine dining overlooking the beautiful grounds of the Experience Center. Ready to go? You can read all about it here, including booking info, and see more photos of the Porsche Experience Center in Atlanta. ### The post PORSCHE EXPERIENCE CENTER appeared first on Buffalo Cars.